UFC: "EA Doesn't Give A **** About Mixed Martial Arts"
UFC president Dana White has gone on an expletive-fuelled tirade against EA Sports, lashing out at not only the publishing powerhouse, but at any UFC fighter that agrees to appear in EA's upcoming mixed martial arts title as well. White (pictured) says that back in the early days of the Ultimate Fighting Championship, EA were dismissive of the fledgling competition, telling him "You're not a real sport. We wouldn't touch this thing. We want nothing to do with this". Now, though? Now that the UFC is raking in the TV ratings and the mega bucks? 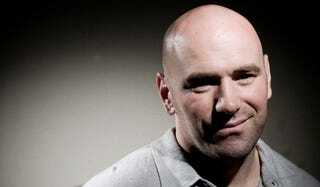 "We put our asses on the line, THQ and the UFC, to make a video-game deal in the worst economy in the world," he says. "We go out there and do this thing, and it's successful, and now [expletive] EA Sports wants to do a video game. Really? That's not what you told us a year-and-a-half ago." In order to compete with THQ's smash hit title, EA will release their own mixed martial arts title, albeit one without the official blessing of the UFC. And in putting this game together, are looking to license real-world fighters, something that's going to have consequences not just on the battle between these two MMA video games, but for the UFC itself. Why? Because the UFC boss says he has a clear message to any of his fighters looking to make a buck by appearing in EA's game: "You won't be in the UFC". "I'm not tap-dancing around this thing or whatever," White says. "I'm telling you straight-up, I'm at war with [EA] right now. That's how I look at it". "EA doesn't give a [expletive] about mixed martial arts. They made that very clear."